Sahuarita (Saw wah ree ta) is a town in Pima County, Arizona, United States. Sahuarita is located south of the Tohono O'odham Nation and north of Green Valley, 15 miles (24 km) south of Tucson. Sahuarita Lake is an man-made lake that was completed in 2001, by Rancho Sahuarita. 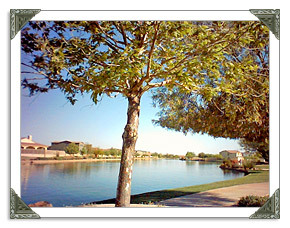 Sahuarita contains the master planned communities of Rancho Sahuarita & Resort (north), Quail Creek (southeast) and Madera Highlands (south) in addition to the residential neighborhoods of La Joya (southwest), Los Colonias and Los Arroyos (west). The town has 92 acres of public and private parks and recreation facilities, with approximately 125 acres additional currently proposed. Sahuarita contains the Titan Missile Museum, which is the only Titan Missile site in the world accessible to the public. The actual Titan II missile, the most powerful nuclear missile on standby in the US, remains in the silo for visitors to see. Just 11 miles (18 km) southeast of Sahuarita is Madera Canyon, rising above the town at 5,500 feet (1,700 m). Visiting the canyon offers residents a way to escape the summer heat (about 15 degrees cooler than Tucson), and travel the extensive trail system or experience the world-renowned bird watching opportunities. Are you looking for homes for sale in Sahuarita, Arizona? 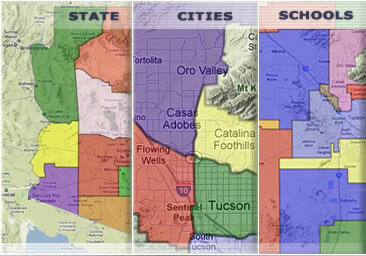 View recently listed real estate properties throughout the Sahuarita, Arizona area on MyOwnArizona.com. We have thousands of listings including condos, town homes, foreclosures, new homes and apartments for rent. Once you have located a listing of interest, simply complete the information request or search for Sahuarita Real Estate Agents to help you find or purchase your new Sahuarita home. We receive new listings everyday twice daily from local agents, brokers and the MLS, so check back regularly! Contact us at: info@MyOwnArizona.com for Sahuarita & Southern Arizona real estate. How? By analyzing real estate information on millions of homes in Arizona and nationwide as well as helping you understand hyper-local Sahuarita real estate trends. Refine your real estate search in Sahuarita, AZ by price, number of bedrooms, bathrooms, property type (including townhomes, condominiums and single-family homes), and more. Use our interactive Sahuarita home price map to view real estate activity across Sahuarita ZIP codes and in other cities nearby Sahuarita. See local real estate trends, and compare your home to recently sold homes in Sahuarita and to similar homes for sale in Sahuarita, Arizona. View our Sahuarita real estate guide to see average listing prices, sale prices and information for local school districts. Join Sahuarita, Arizona community to get in touch with Sahuarita MyOwnArizona™ real estate agents and other MyOwnArizona™ real estate sellers and buyers resources.